As we prepare for our New Year’s Eve event (details here), Noise of Art would like to thank everyone who joined us this year. We began with a New Year’s Eve shin-dig at the Constitution followed by the first of our series of Czech Republic dates with Move, which took place on 5 and 6 January and were followed by a further ten events, including a residency at The Cross Club in Prague. We will be returning there in 2019 with a new programme. We launched David Davis’ Brexit Dystopian Disco at France’s Chateau Perché Festival. Here Justin Robertson, Ashley Beedle & Jo Wallace’s Heavy Disco, Jerry Bouthier, A Man Called Adam, Behzad & Amarou, Mechanix, Arklow, Cheng & Oli, Joseph S Joyce, Heavenly Jukebox, Ben Gobble and Noise of Art’s Ben Osborne joined over 200 mostly European DJs, border guards, dystopians and 10,000 beautiful party people in an equally beautiful French castle. We’re back at Chateau Perché in August 2019 and can’t wait. Other Noise of Art activity included two months marking the end of World War One and birth of the Czech Republic, new music and nightclubbing with our Czech and Dutch partners Jarda and Merlijn. 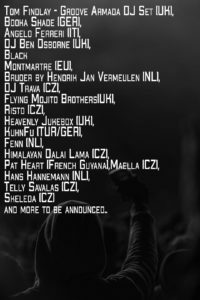 These events were headlined with sets by Tom of Groove Armada (UK) and Booka Shade (Germany) and saw performances by Ben Osborne (Noise of Art), Flying Mojito Brothers (UK), Heavenly Jukebox (UK), Lake Malawi (CZ), Stichting Nederlandse Muziek Export presents Krieg! 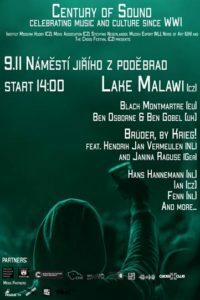 by Hendrik Jan Vermeulen (NL), Janina Raguse (Germany), Chut Zit (Cz), Hans Hannemann (NL), IAN, Fenn (NL) and more in venues across Prague – including a day of acts in a town square, Lucerna Club, Freemasons Club and Cross Club. 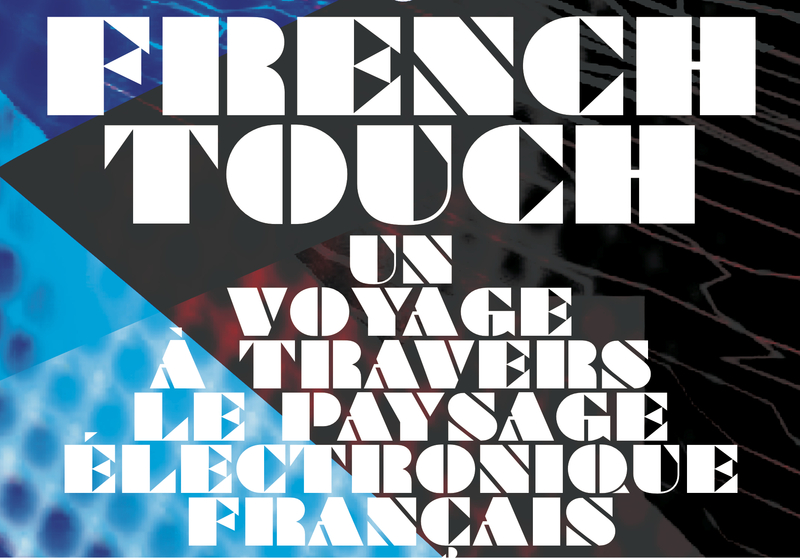 In November we launched the latest leg of the French Touch Exhibition Tour with the wonderful pioneering French techno DJ Jack de Marseille, at the fabulous VV club and gallery in Marseille. We look forward to being back there and having Jack come to play events in 2019. December 2018 saw the launch of the Women 100 exhibition in Ipswich, at which Francine Perry, aka La Leif, played a live analogue electronic set. It’s easy to hear why Francine is this year’s Daphne Oram Award winner. 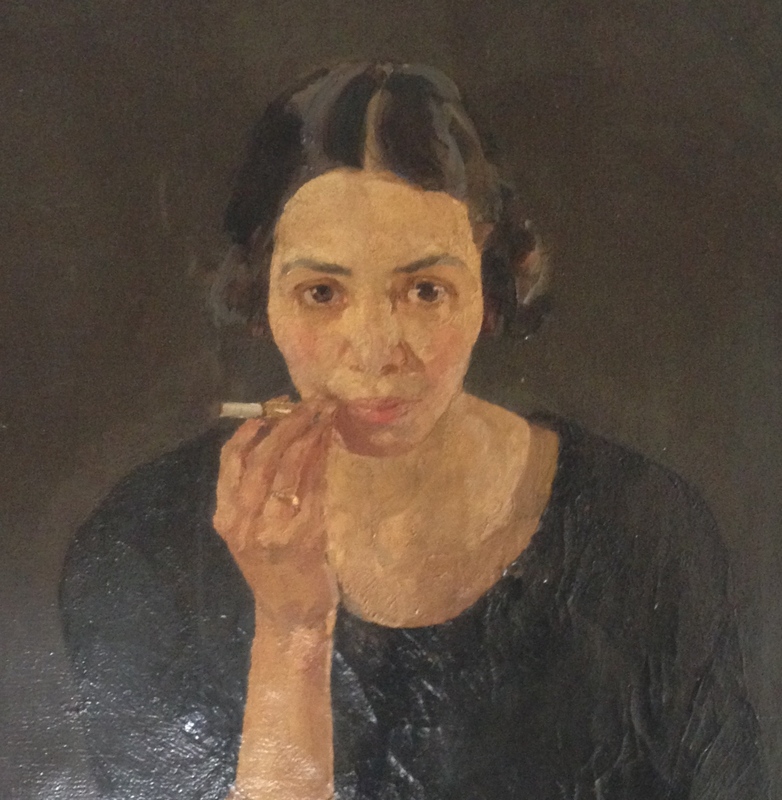 The exhibition is being run by Ipswich Art Gallery and celebrates 100 years of women’s art since the Representation of the People’s Act, which allowed women to vote and stand for parliament in the UK for the first time. It features a series of pictures by AK Browning (this is one of her pictures), a Suffragette and painter who, amongst other things, put on an early all women art show with Sylvia Pankhurst, shortly before the first world war. 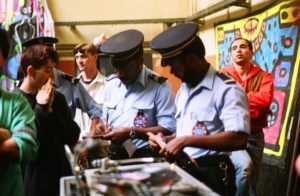 Noise of Art will be running some more events alongside the exhibition until May 2019. And we’d like to thank London venues during the year, including National Portrait Gallery, The Social, Big Chill Bar, Red Gallery, Oval Space/ Digital Agenda, Atrium/ TedX, Giant Robot and 93 Feet East . 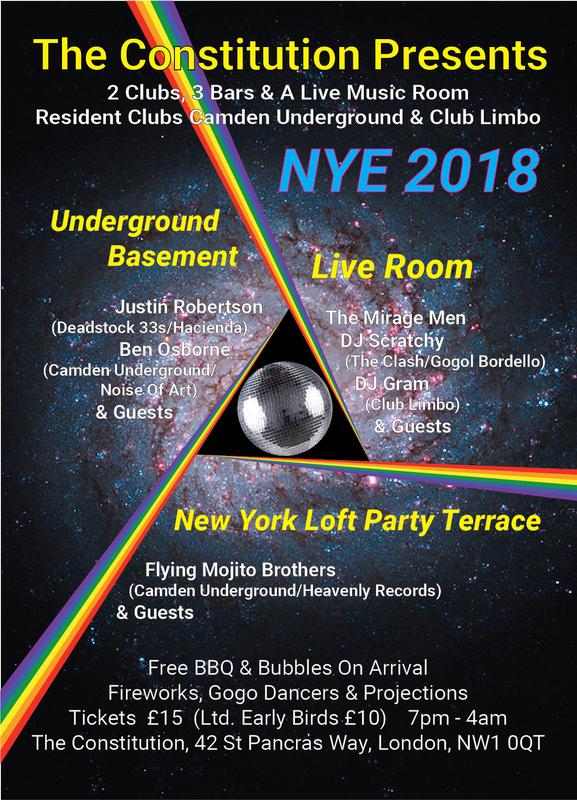 We’re launching into 2019 with Ben Osborne, Justin Robertson and Flying Mojito Brothers playing Camden Underground’s NYE party at The Constitution, in Camden, London, where Club Limbo are hosting the live room. 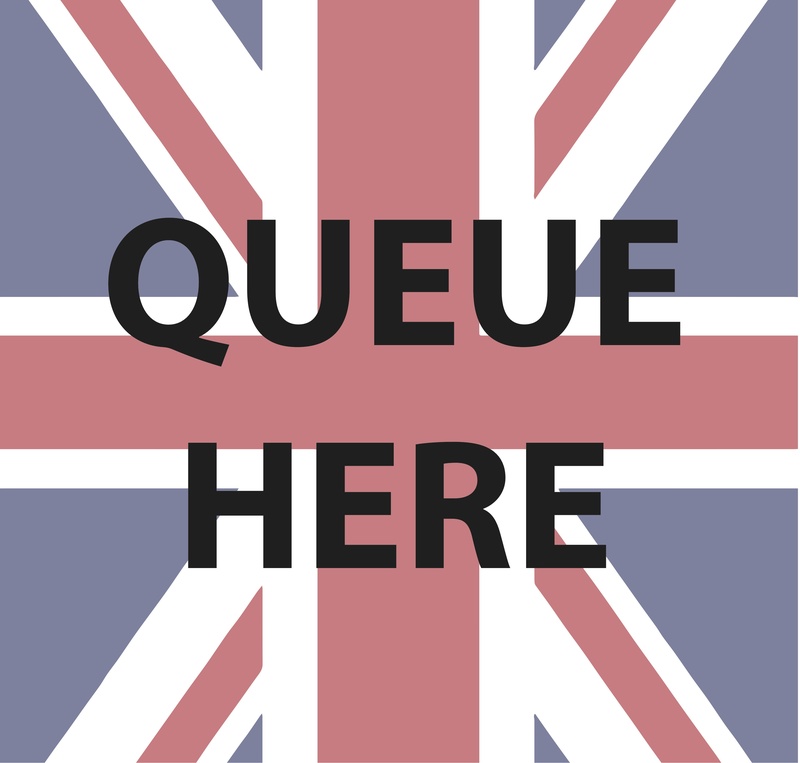 You can find tickets for that by clicking here. Thank you all for 2018 and all the best for 2019. New Year’s Eve Camden Underground & Limbo, The Constitution. DJs: Justin Robertson (Hacienda/ Bugged Out) , Ben Osborne (Noise of Art), Flying Mojito Bros (Heavenly Records), Scratchy (The Clash), Gram (Limbo), Mirage Men (Live). Punk Rock Karaoke (Live) & more. 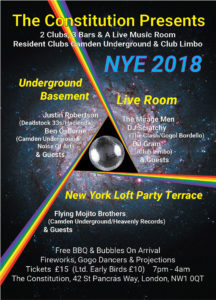 Following last year’s storming NYE event, we return to Camden’s hidden gem, The Constitution, for NYE 2019 with a bumper line up of DJs, plus Limbo’s live acts, and a plethora of party offerings, including free Prosecco reception BBQ and firework display and three full bars with pub prices. 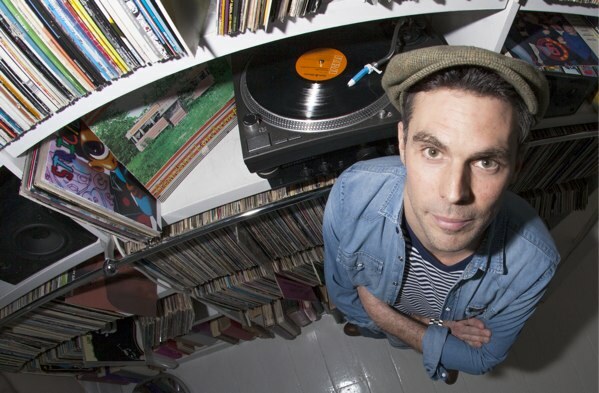 Renowned DJ Justin Robertson, whose Manchester DJ sets inspired The Chemical Brothers to start making music, lines up alongside Flying Mojito Bros and Noise of Art founder DJ Ben Osborne laying down quality disco, house, electro, acid, low-slung grooves and Broken beat. In the live room veteran indie DJ, Scratchy, who lists the Clash amongst his DJ roles, and resident DJ Gram are joined by Egyptian surf rockers The Mirage Men and guests. Noise of Art, Move and Lucerna Music Bar Prague, present Booka Shade (GER) Live with DJ Ben Osborne (UK) and a night of pan European dance grooves at The Cross, with Heavenly Jukebox joining Chut Zit and FunkdUp residents. The closing weekend for our two month long Century of Sounds (1918-2018) project sees leading German electronic duo, Booka Shade, play the Czech capital. The project celebrates 100 years since the end of World War One and the long-tail of the music and art traditions that grew out of the horror of the war; as musicians and artists reflected new cultural norms and modes of creativity. 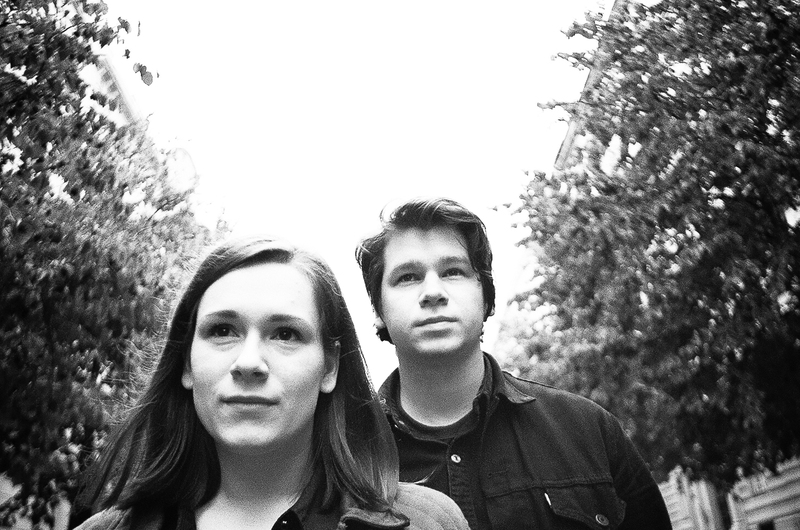 Century of Sounds is also a bridge into Noise of Art’s 2019 project, Black Montmartre. The closing weekend is headlined with a live set by the German house music duo and Get Physical Records founders, Booka Shade. Widely regarded as Germany’s leading live electronic club act, they make a rare appearance in Prague after this year’s global tour that’s taken in four continents. They are joined by Noise of Art founder DJ Ben Osborne, who also brings to a close his 2018 international tour, and London’s Heavenly Jukebox – mainstays of London iconic music industry hangout, The Social. 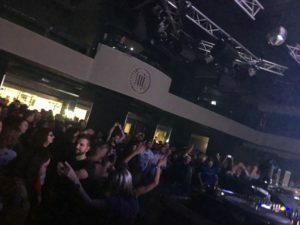 The Century of Sound events were launched by Brit dance music duo Groove Armada in October and close with German duo Booka Shade on the first weekend of December. As a happy coincidence Groove Armada are also playing their first live London gig on the same weekend. The weekend also pre-figures the launch of Noise of Art‘s Women 100 Events launch, which celebrates women in art over the century since women first won the right to vote in the UK. It focuses on women artists who were often successful in their lifetimes but who are forgotten by history. Alongside the exhibition Noise of Art is celebrating contemporary women working in music and art, including appearances by Mira Calix, Francine Perry (La Leif), Vanessa Reed and Kirsty Alison at Ipswich Art Gallery. Noise of Art closes a busy 2018 and enters 2019 with a series of international gigs, club nights and exhibitions in the U K and Europe, including events at VV Gallery France, the Cross and Lucerne clubs Prague and National Portrait Gallery and Ipswich Art Gallery in the UK. Thank you to everyone for a great year. Some highlights of next events below. Tuesday 20 November. Albert Cerny/ Lake Malawi, Maella & Ben Osborne, The Social. The fourth in our series presenting up-and-coming acts at The Social in London sees Czech pop star Albert Cerney, the charismatic front man of Lake Malawi, make a rare London appearance, with award winning young singer Maella and DJ host Ben Osborne. 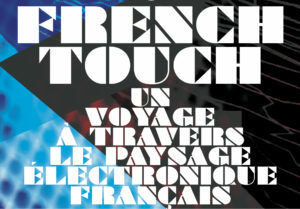 Thursday 22/ Friday 23 November, French Touch at VV Gallery, Marseille, France. Noise of Art and Red Gallery, London, are teaming-up with Jack De Marseille’s Jack In The Box Festival and VV Gallery, Marseille, to launch their acclaimed exhibition for the first time in the South of France. Ben and Jack will be DJing. Saturday 1 December, Cross Club, Prague. 10pm-6am. 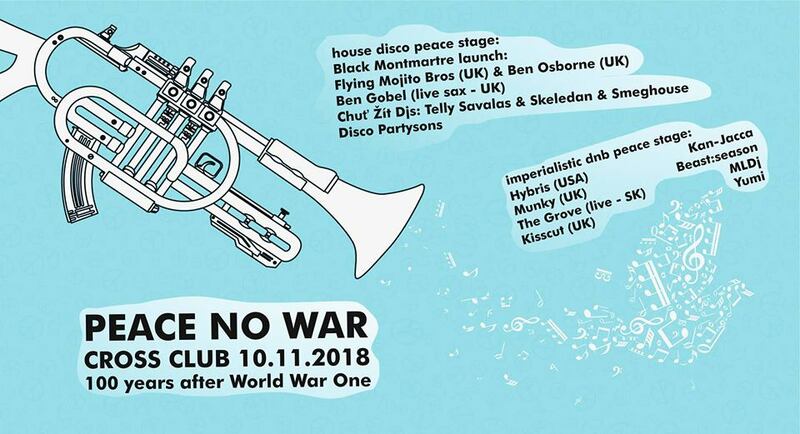 After a weekend of events across Prague 0n Armistice weekend, Noise of Art, The Cross and Move Festival continue celebrations of 100 years of music since WW1 and the birth of nightclubs. 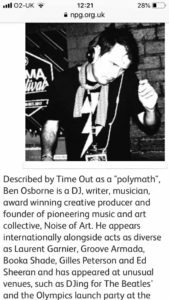 Tonight sees Noise of Art founder DJ Ben Osborne being joined by The Social residents Heavenly Jukebox, veterans of Glastonbury festival and Festival No 6, amongst other places. Cross favourites, CHUT ŽÍT, complete the roster with the ever popular Telly Savalas, Skeledan and Smeghouse. Sunday 2 December, Lucerna Music Bar. Booka Shade (GER) Live, DJ Ben Osborne (UK). 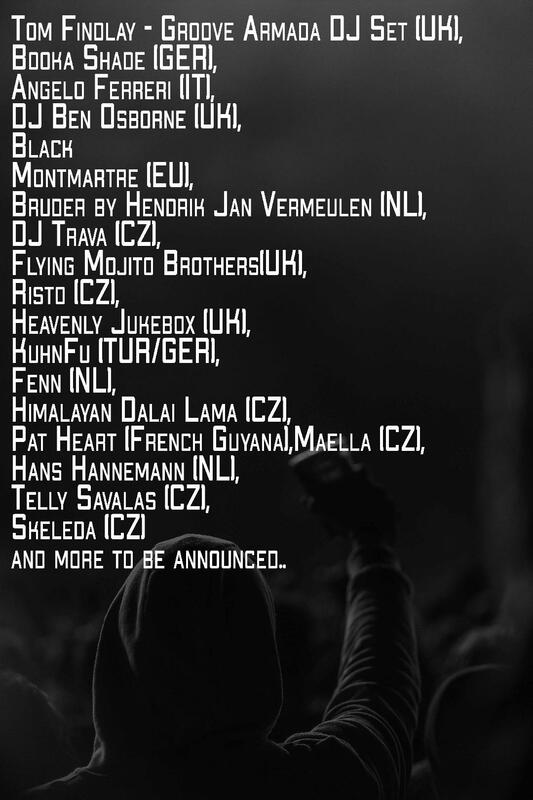 More to be announced. 8pm-12 midnight. The closing party of our WW1 event in Prague will be headlined with a live set by the German house music duo and Get Physical Records founders, Booka Shade. Widely regarded as Germany’s leading live electronic club act, they make a rare appearance in Prague after global tours including the American and Australian continents. Saturday 8 December, Launch of Women 100 Exhibition, with La Lief (Live). Ipswich Art Gallery/ The Falcon The Falcon, Ipswich IP1 1SH 7pm-2am. La Lief, aka Francine Perry and band, is winner of the 2018 Daphne Oram Award. She plays the launch of Noise of Art’s music events running alongside Ipswich Art Gallery’s Women 100 exhibition of female artists. The exhibition features works by notable women artists, including paintings by the Suffragist Amy K Browning, Maggi Hambling, Ellen Mary Rope and Jelly Green. The event will be followed by a Noise of Art social and club night in one of Ipswich’s new wave east coast venues. Monday 10 December DJ Ben Osborne Giant Robot, London E14 5AR DJ Ben Osborne plays Giant Robot, Canary Wharf’s cavernous riverside music, drink and food venue, spinning a set spanning everything from classic house, groove, punk-funk, cosmic disco, Italo and boogie, to deep down and dirty disco. Saturday 15 December 2018. Women 100 Events – Noise of Art presents Kirsty Alison and The Children of The Midnight Sun. 7pm-2am. As well as performing music and poetry, Kirsty is the editor of Cold Lips, arts editor of DJ Mag and has been published in Vogue, The Guardian, Dazed, Elle and Illustrated Ape. She’s the author of Making Something Out Of Nothing, and Unedited and her debut novel will be published in 2019. 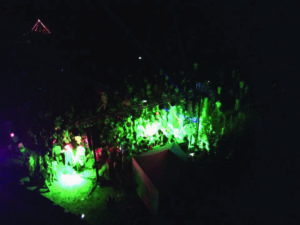 The event will be followed by a Noise of Art social an club night. 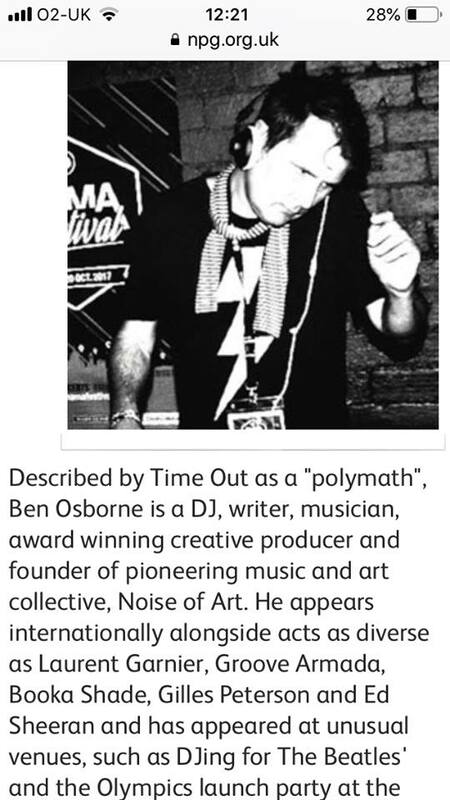 Monday 17 December DJ Ben Osborne Giant Robot, London E14 5AR Noise of Art’s DJ Ben Osborne plays Giant Robot. 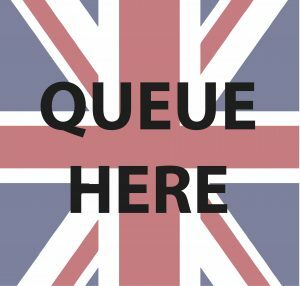 Friday 21 December – The Cons Xmas Party, The Constitution, London NW1 0QT. 7pm – 1 am. Free in for loads of festive surprises. Monday 24 December – Lion Xmas EVE Party, Woodbridge IP12. 7pm – 12:30 am. DJ Ben Osborne and Saxophonist Ben Goble make some Xmas noise. 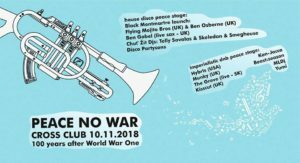 In advance of our weekend of events marking the end of WW1 on 9-11 November in Prague, there is a little soiree tonight (Tuesday 16 October) in Central London. The third in our series presenting up-and-coming acts at The Social sees a double-headliner with award winning Czech act Kalle being joined by all-girl Irish electronic three-piece Everything Shook and host DJ Ben Osborne. Kalle are Veronika Buriankova and David Zeman from the Czech Republic. They released their debut LP, Live From The Room, in 2014. Recorded at home on cassette, it won the Andél Award for Alt.Music in 2015. Their sophomore LP, Saffron Hills, was released at the end of last year. Everything Shook consists of Robyn Bromfield, Jessica Kennedy and Áine Stapleton who recently stunned the audience at Ireland’s Electric Picnic festival. One of The Irish Times’ Best Irish Acts of 2014. The trio have played large festivals, music venues and art spaces throughout Ireland and New York. This is their debut at The Social, London. ‘Everything Shook…recall Fever Ray and Ladytron at a melancholy 4am disco with David Lynch DJing’ (Buzz.ie).